Ms. Hazel T. Crumpler, age 89, of 4740 Bent Pine Drive, Fayetteville, NC departed this life on Tuesday, February 12, 2019. Funeral service will be held on Saturday, February 16th at 11:00 AM in the New Hope Missionary Baptist Church, Wade, NC. Burial: McKeithan Cemetery, Wade, NC. 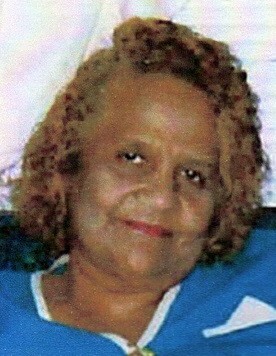 She leaves to cherish her loving memories: sons, Henry Crumpler, James Crumpler, Leon Crumpler and John Crumpler; daughters, Mazie Lewis and Grace Walton; brother, Oscar Autry; sister, Estella Berryman; fifteen grandchildren; thirteen great grandchildren and a host of other relatives and friends. There will be a viewing held on Friday, February 15th from 2:00 PM to 7:00 PM. Family will receive friends from 5:00 PM to 7:00 PM at the funeral home.